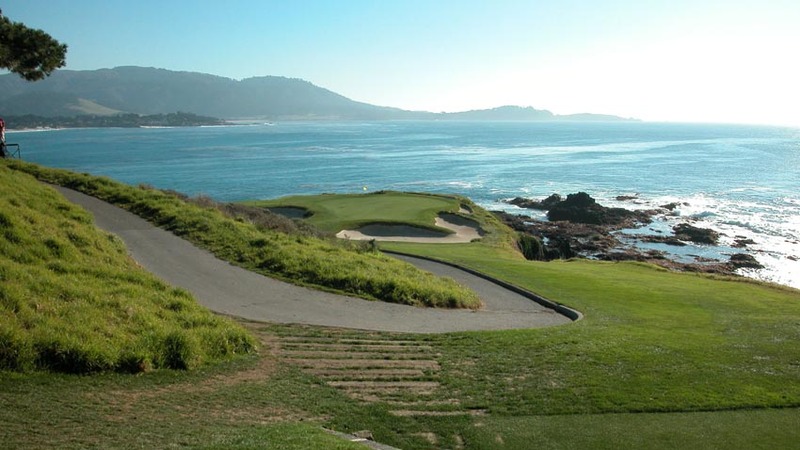 Pebble Beach Golf Links (®, Pebble Beach Company, all Pebble Beach trademarks are owned by Pebble Beach Company) in Pebble Beach California has long been described as “the greatest meeting of land and water in the world” and has always been well-known to be Jack Nicklaus’ favorite golf course! 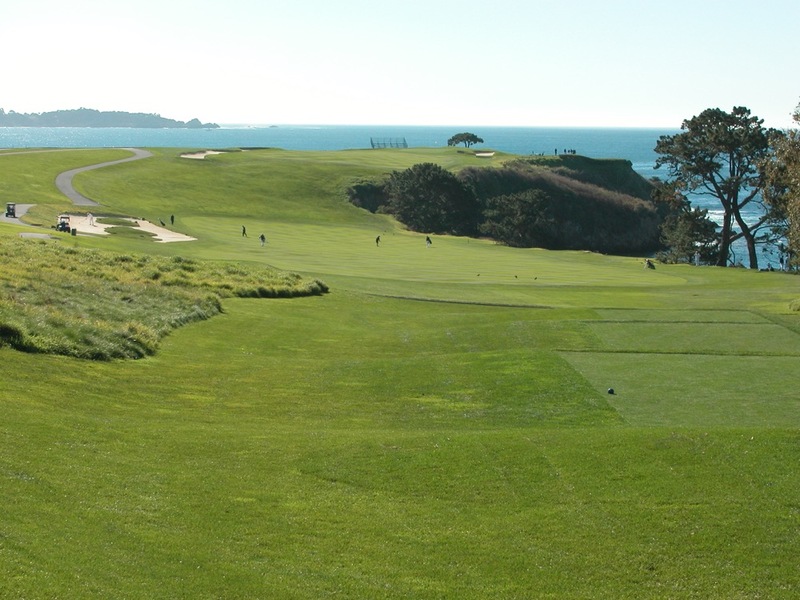 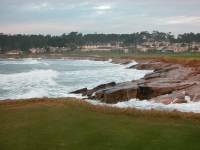 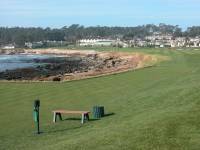 If you have yet to play America’s true bucket-list golf course, or if it’s been too long since you’ve stood on Pebble Beach Golf Links’ first tee, it’s time to head there. 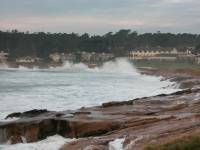 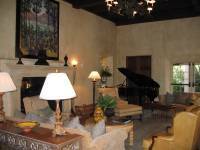 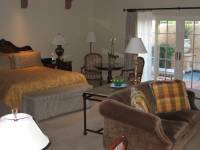 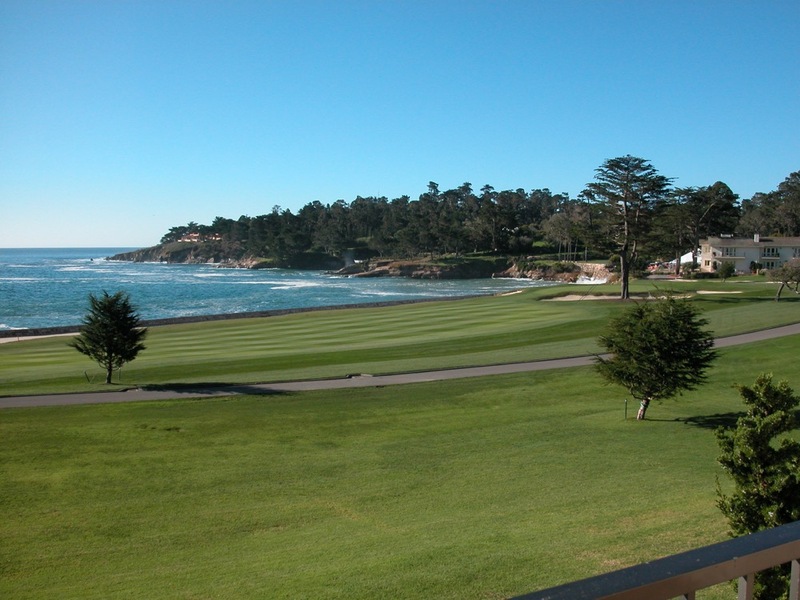 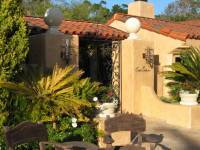 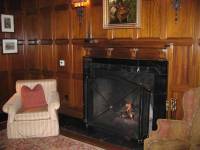 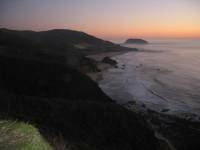 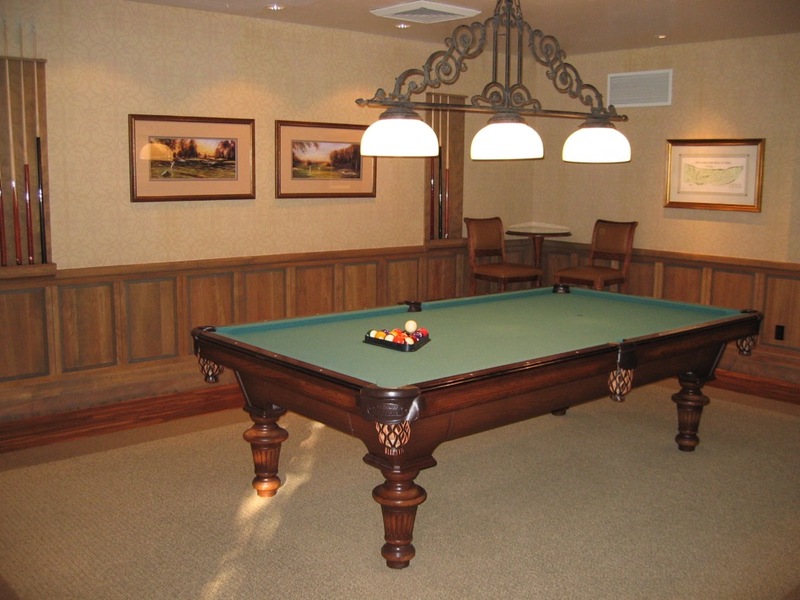 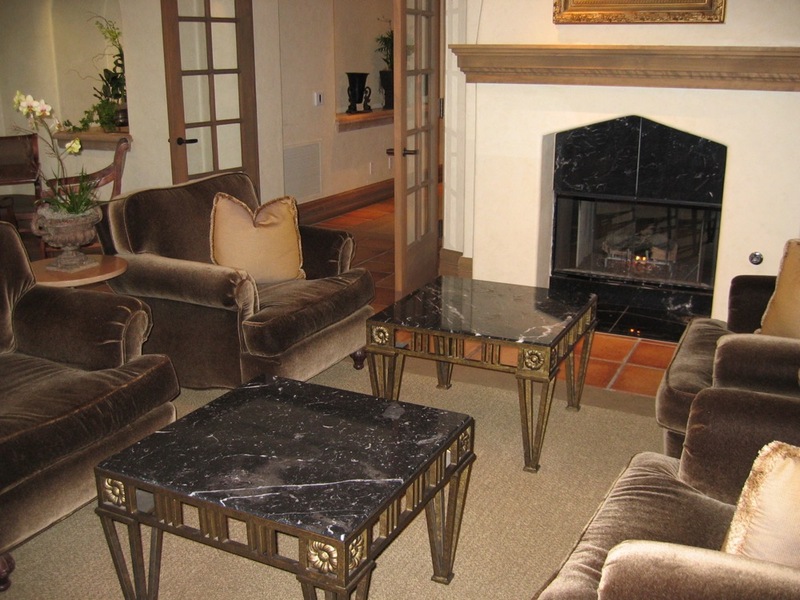 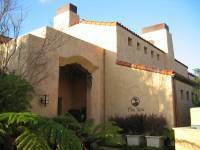 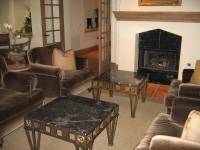 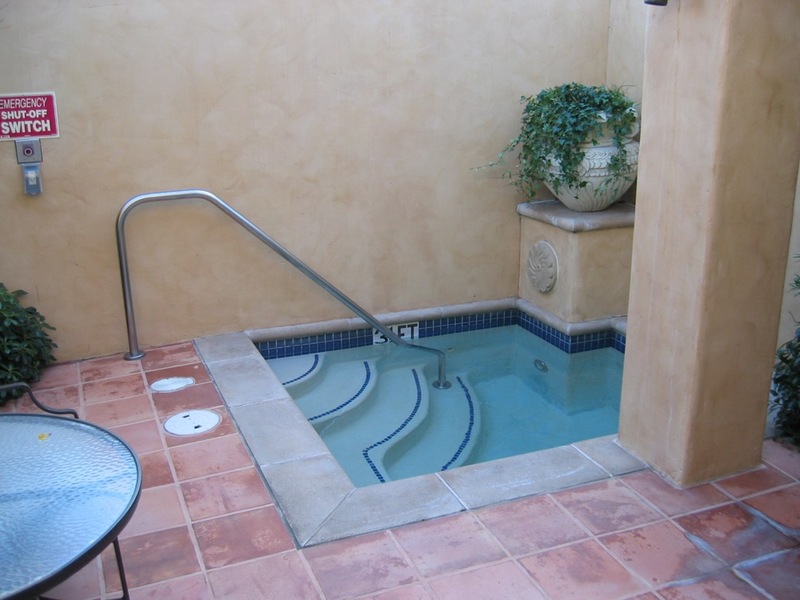 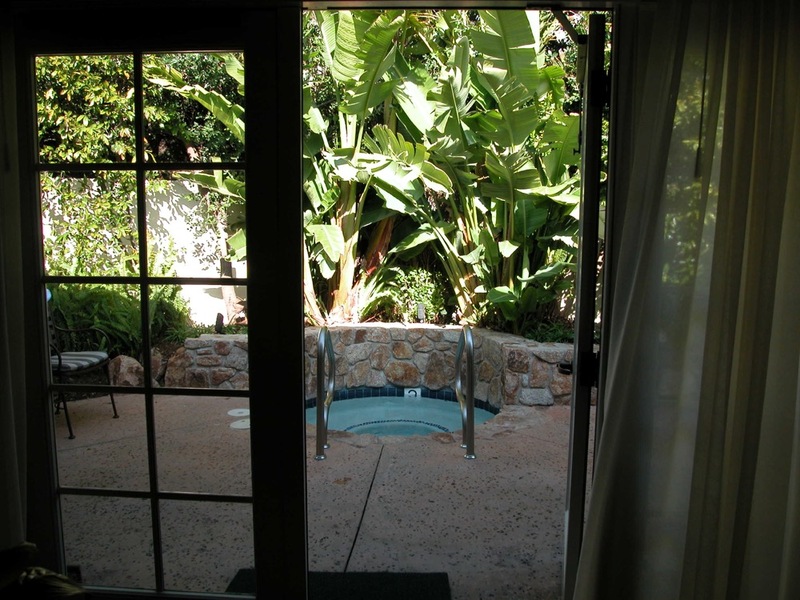 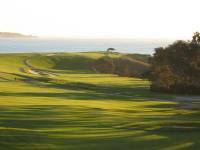 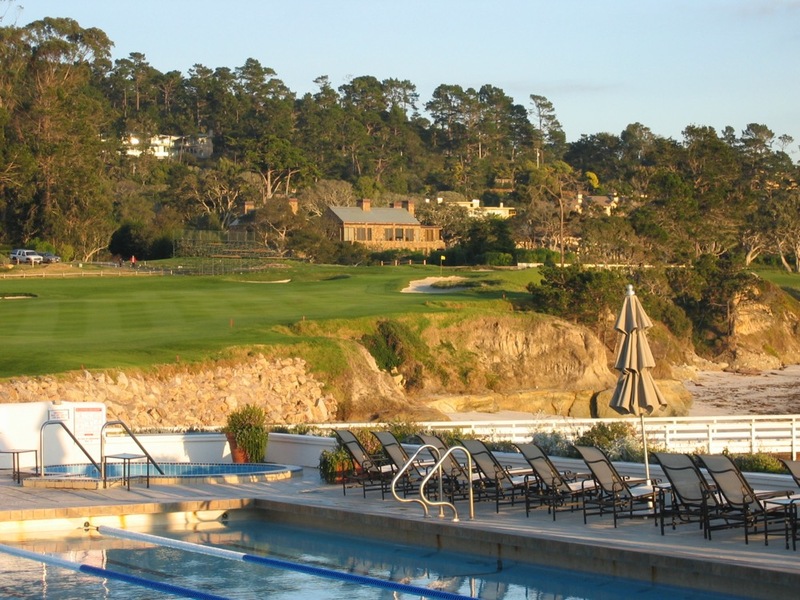 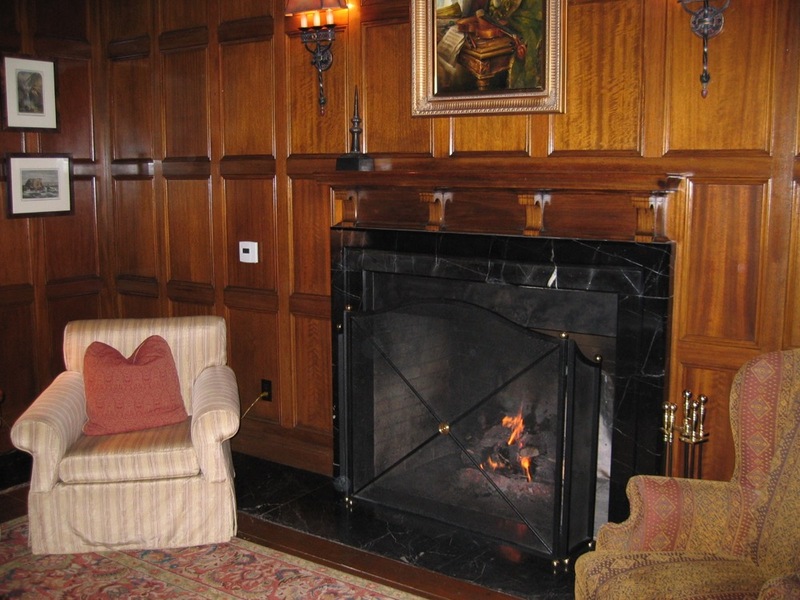 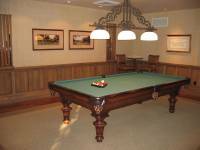 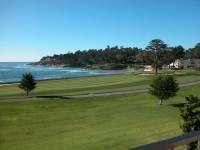 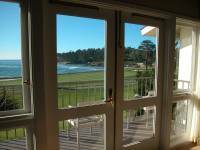 From the amazing Lodge at Pebble Beach and the timelessly-superb Tap Room, a world-class steakhouse, to the luxurious Casa Palmero spa, to the unforgettable golf course, Pebble Beach is better than ever. 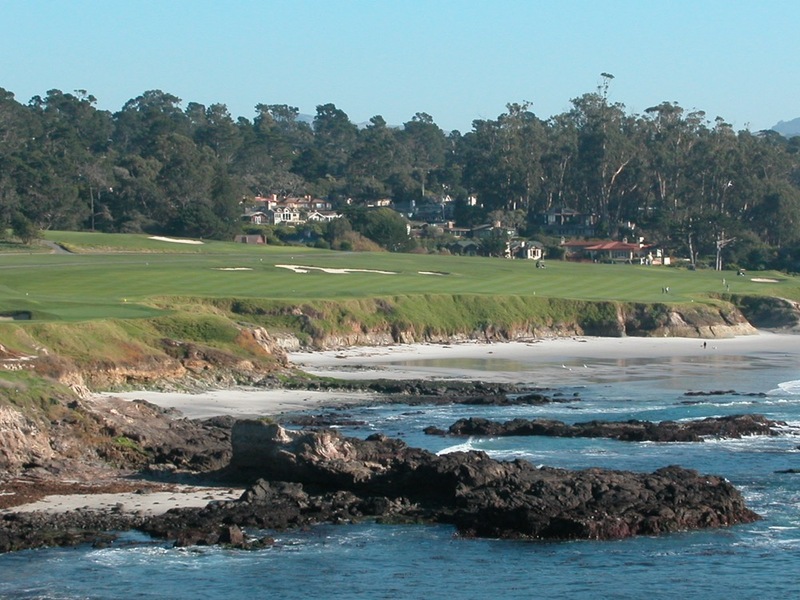 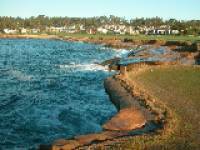 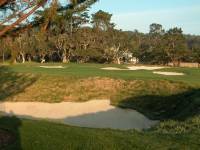 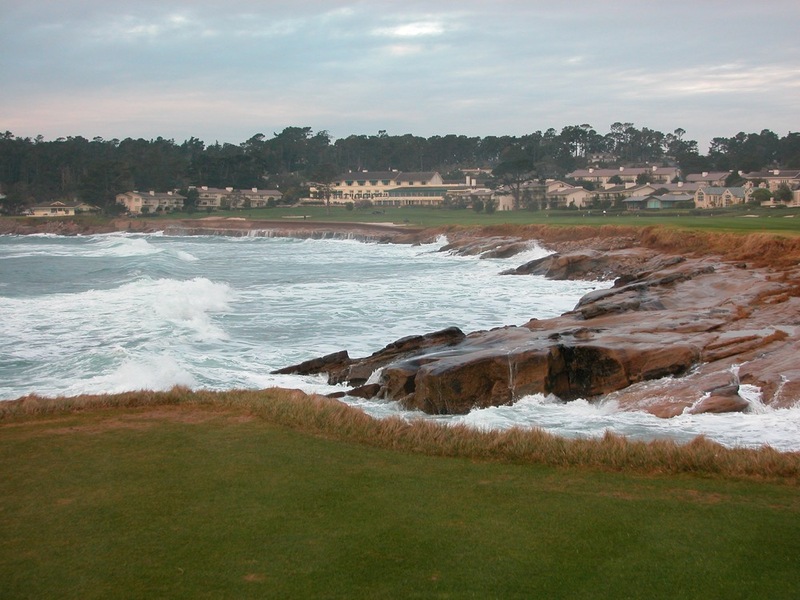 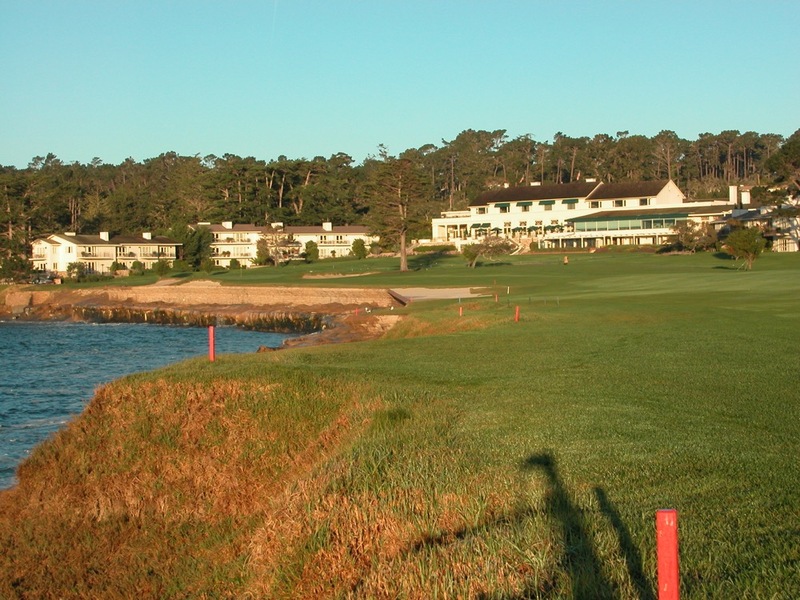 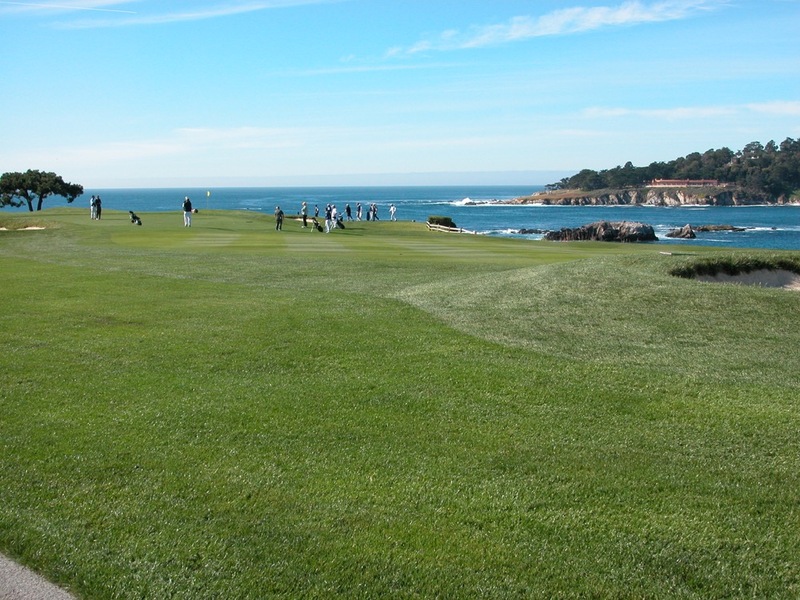 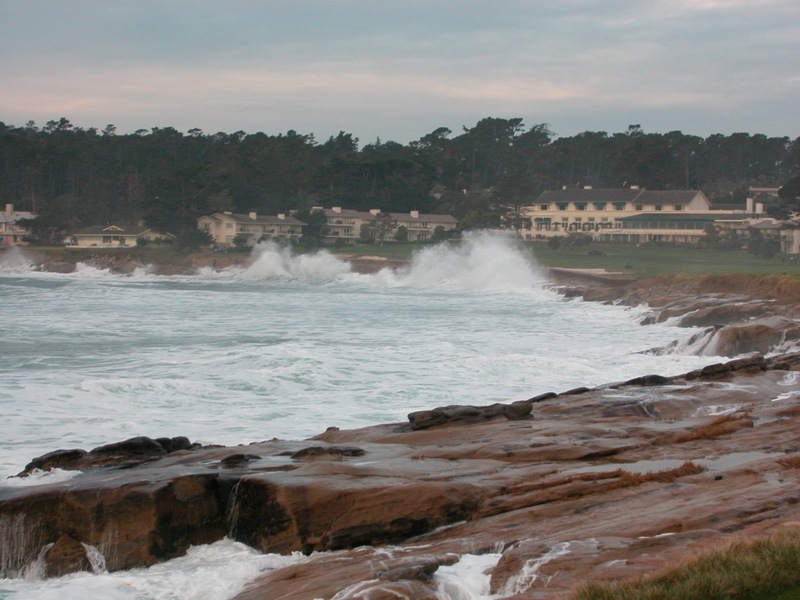 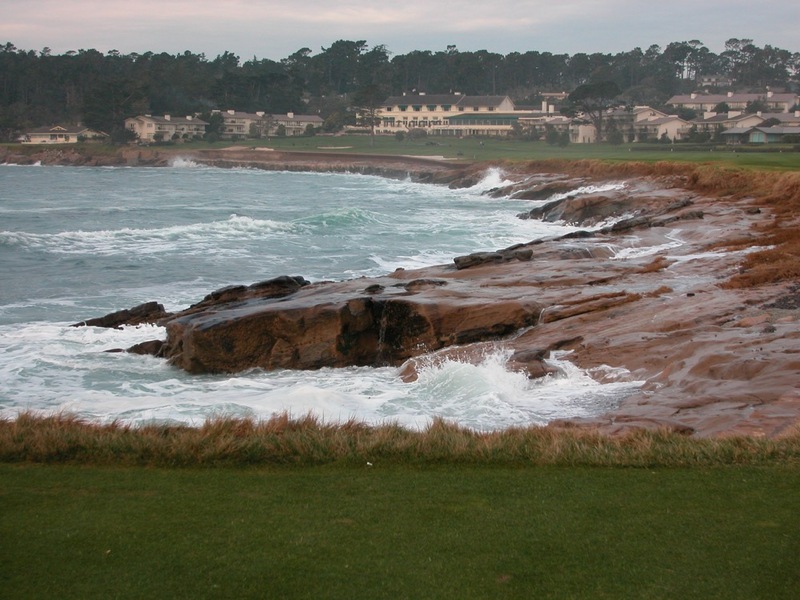 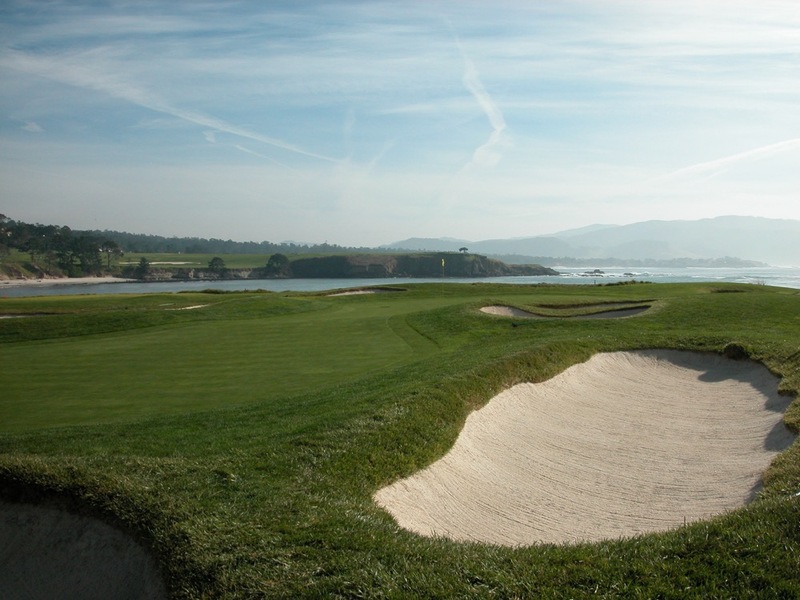 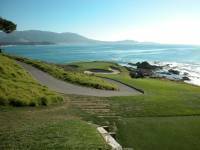 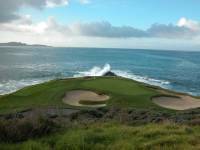 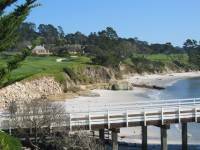 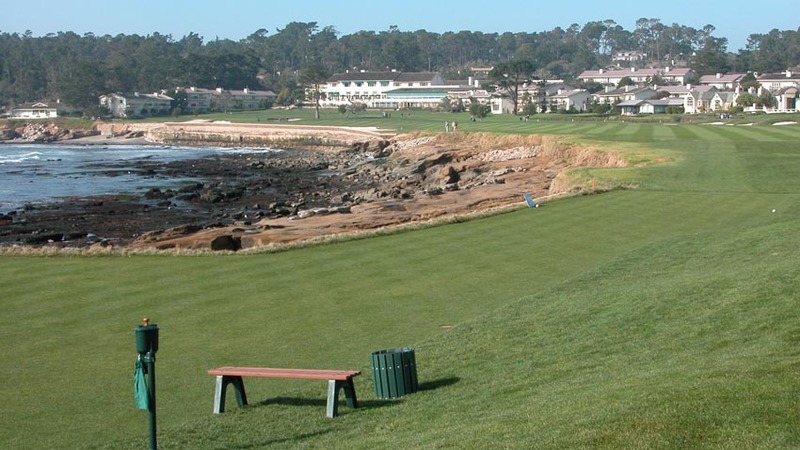 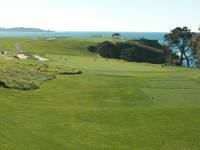 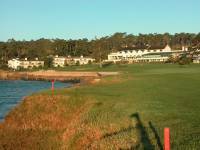 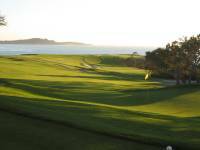 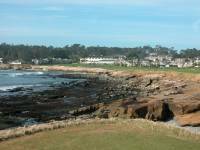 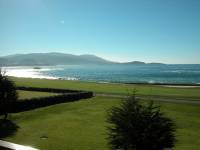 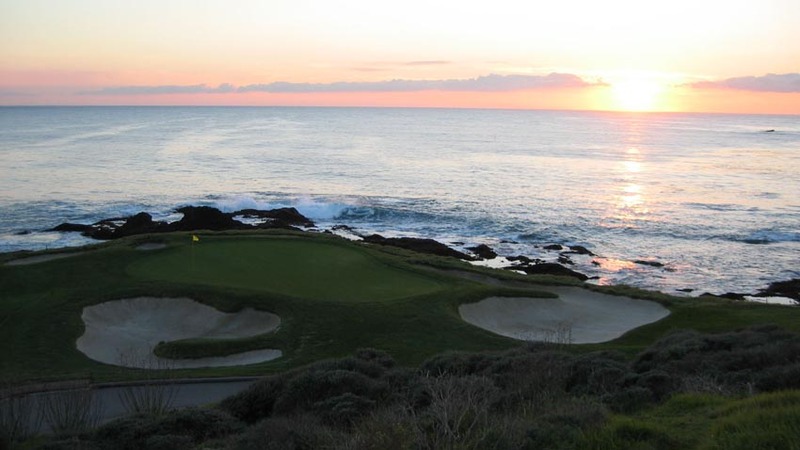 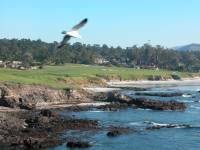 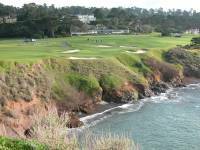 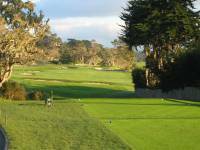 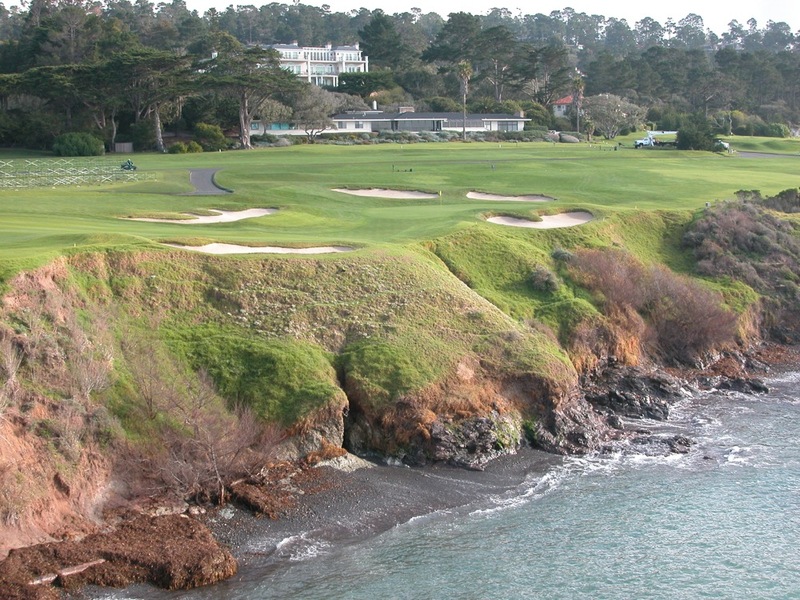 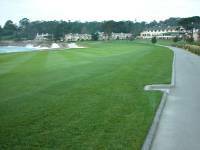 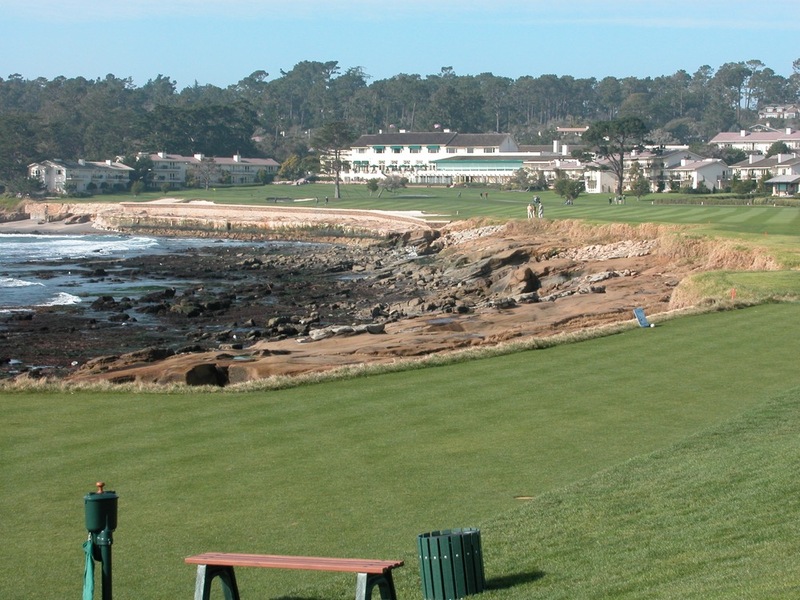 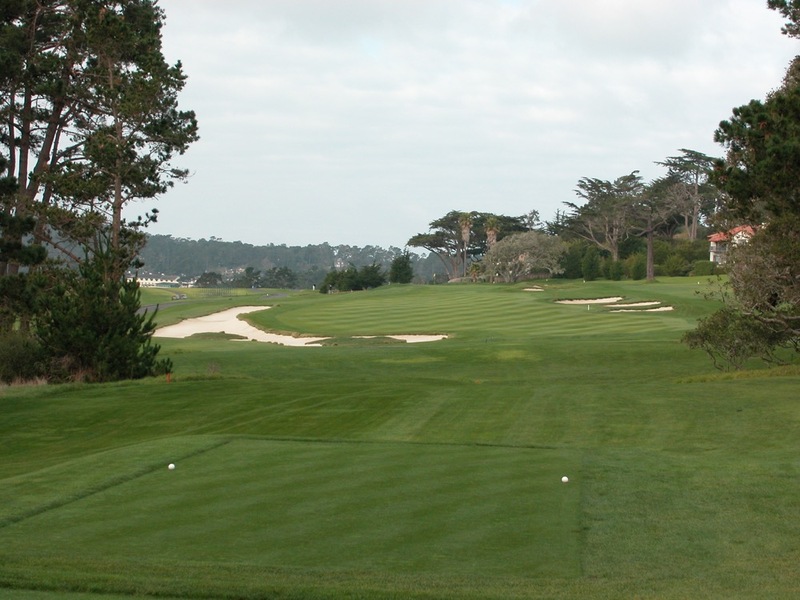 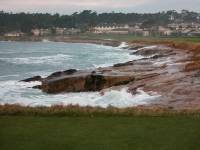 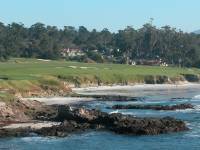 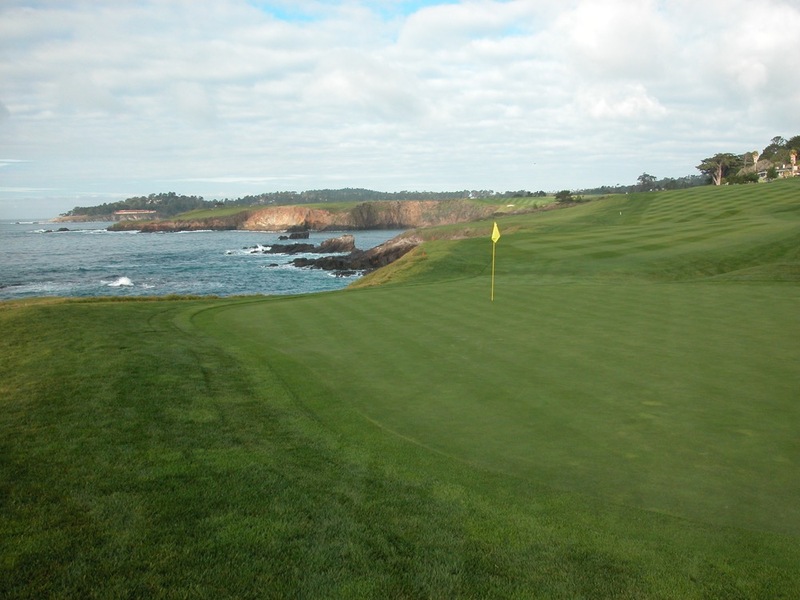 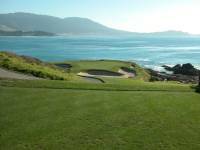 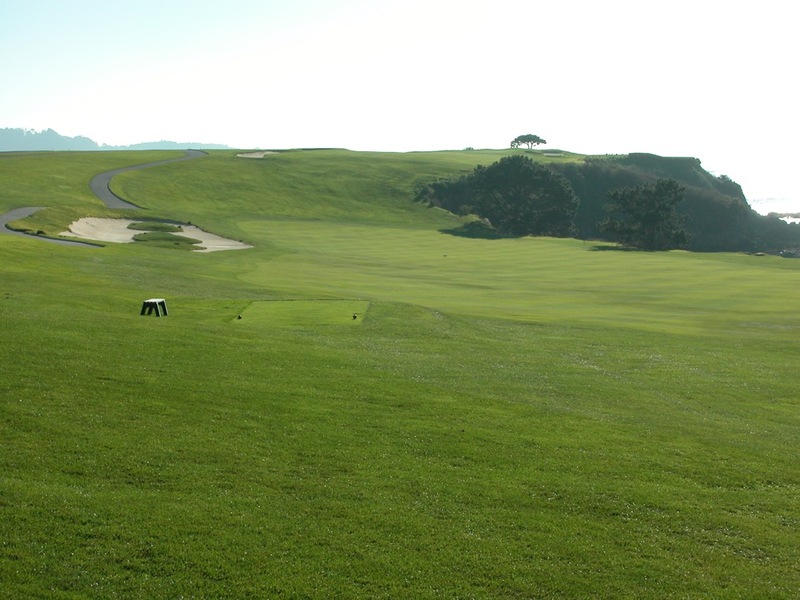 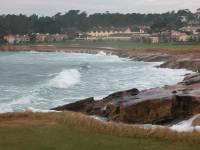 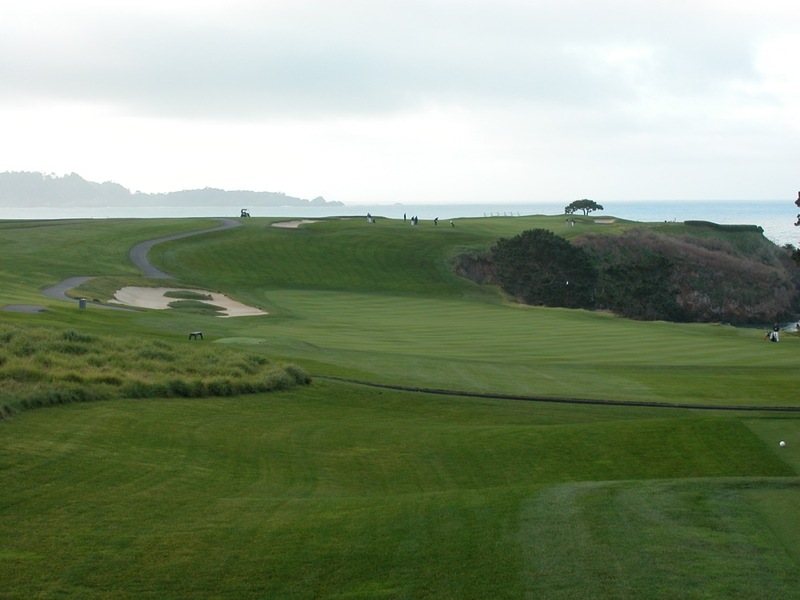 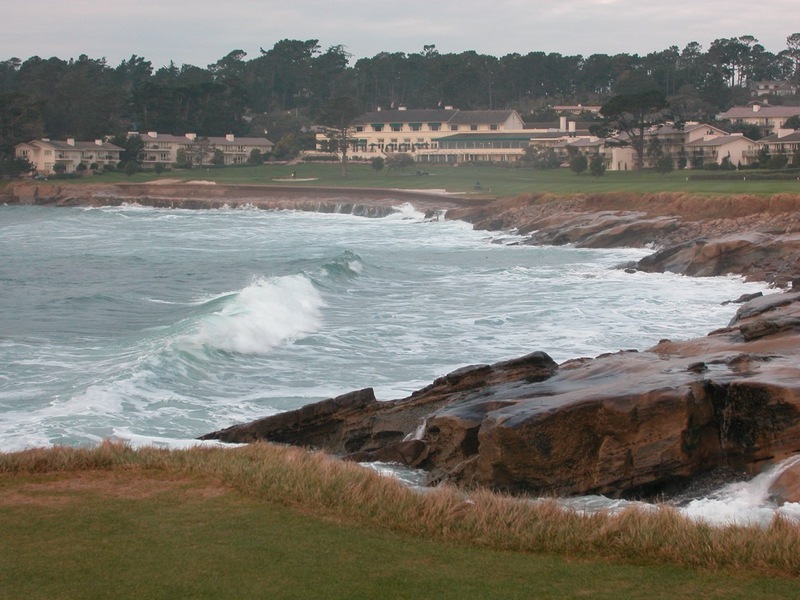 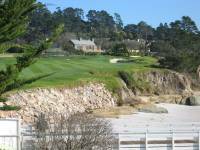 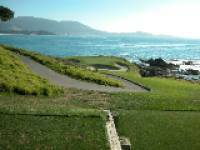 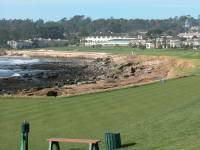 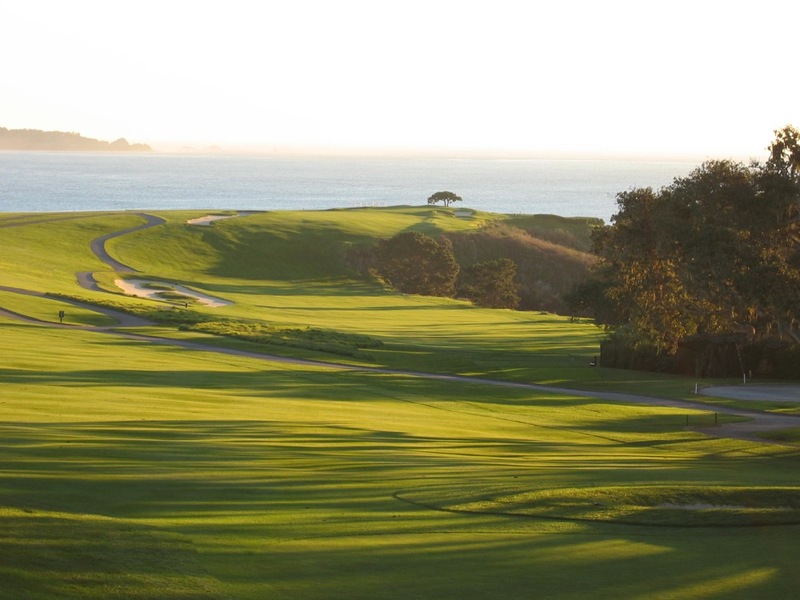 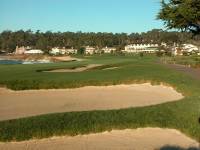 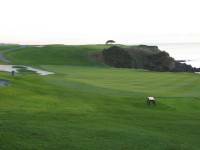 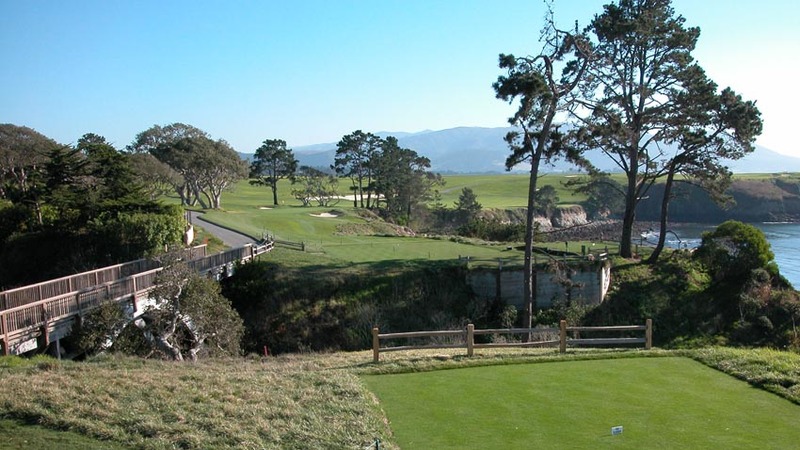 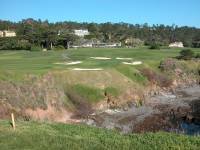 Pebble Beach Golf Links likely has more signature holes than any other course in the world. The downhill par-3 7th is one of golf’s most instantly recognizable holes and the 7th at Pebble Beach is our pick for the most fun golf hole on Earth! 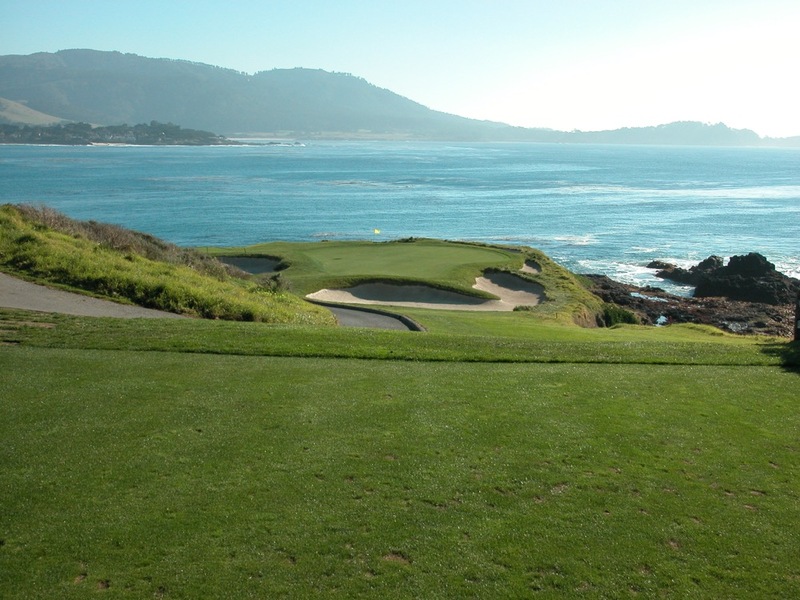 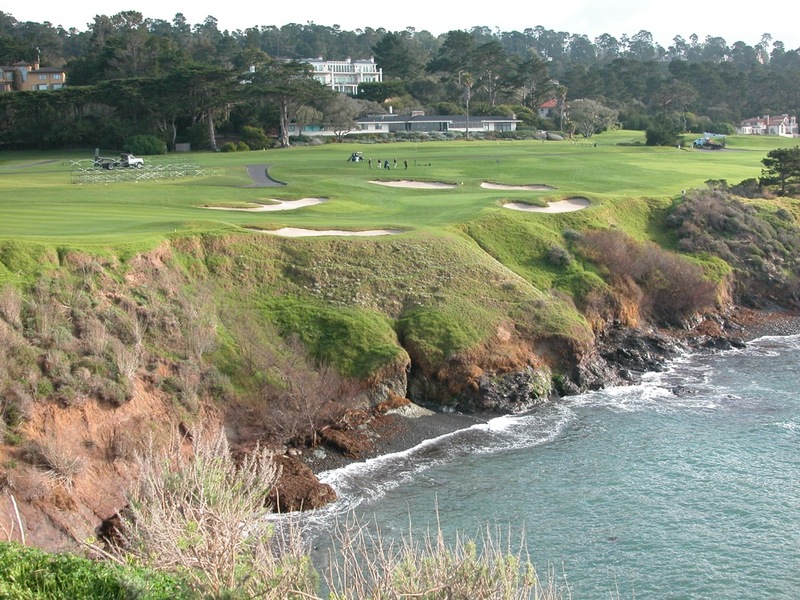 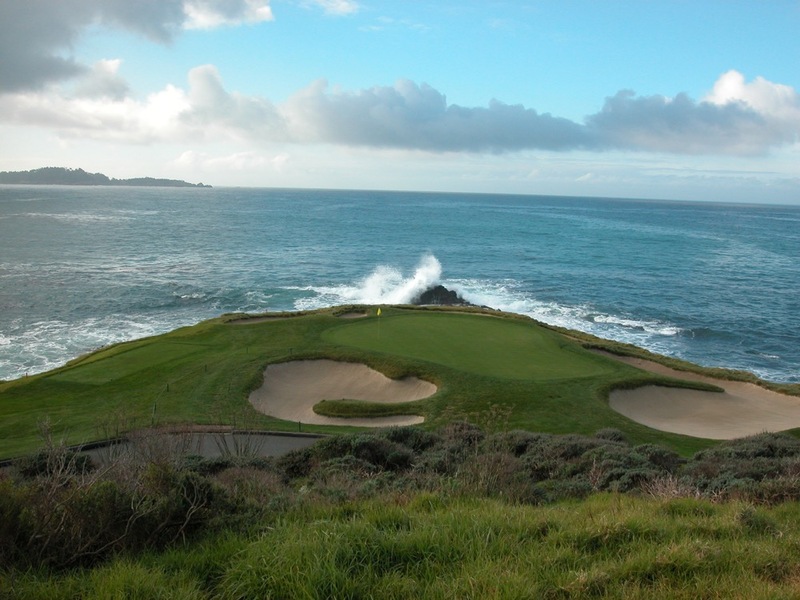 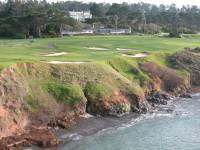 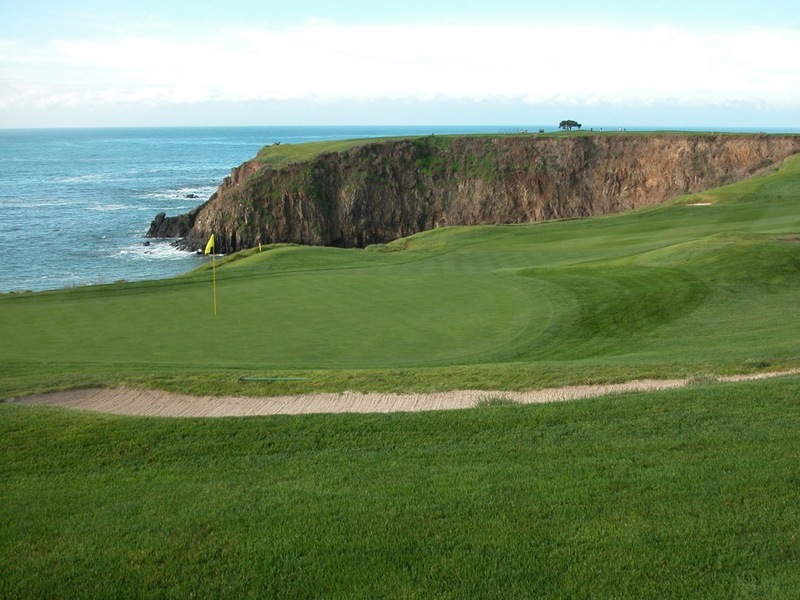 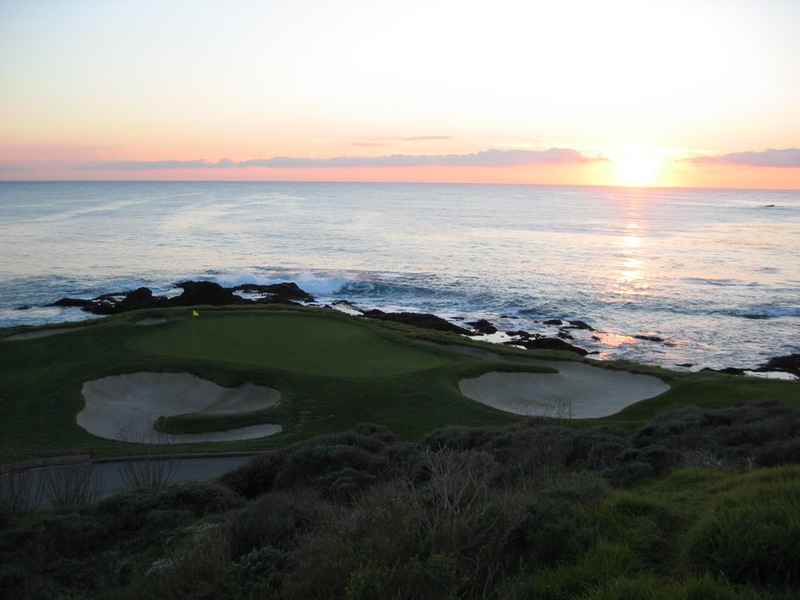 Immediately following the 7th is Pebble Beach’s famous 8th hole, requiring arguably the most heroic second shot over the game, at least a mid-iron and likely more over a huge cliff and inlet of the Pacific. 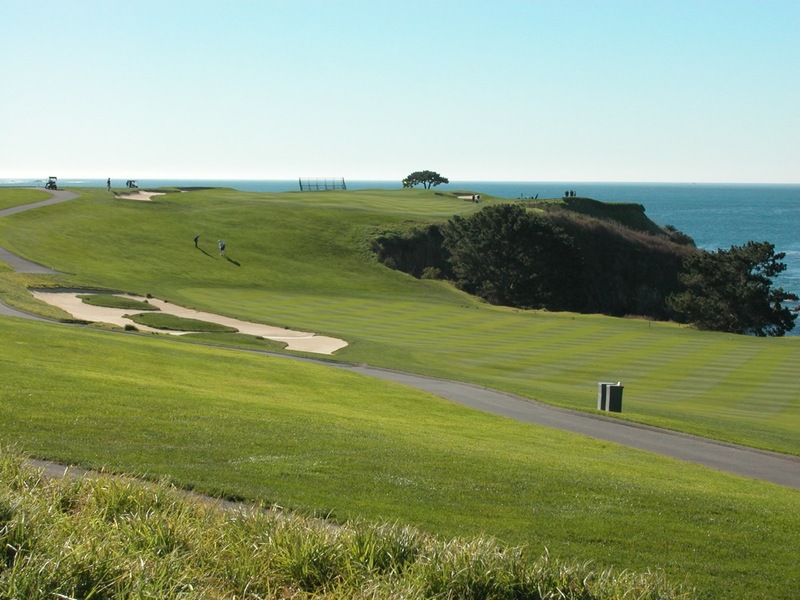 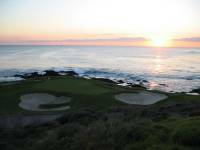 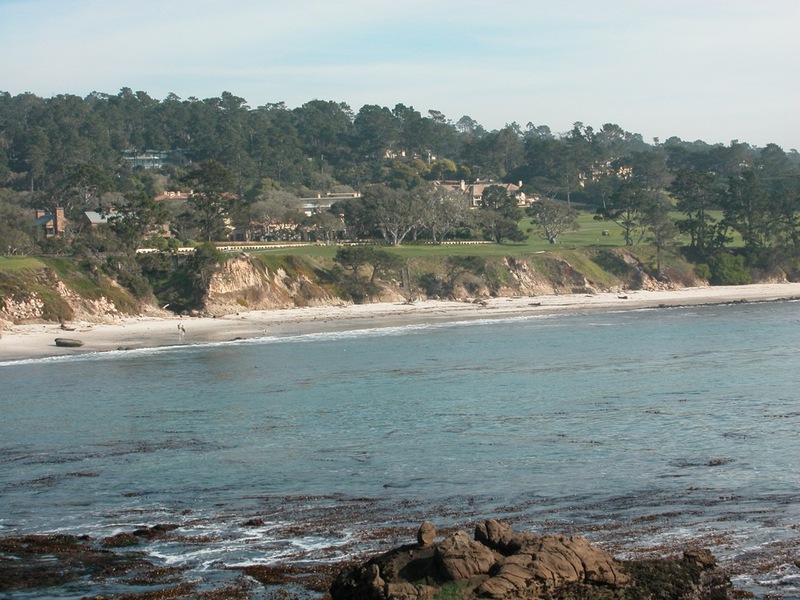 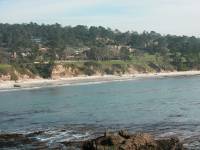 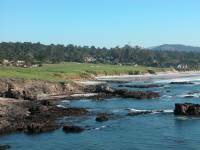 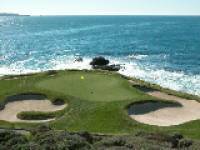 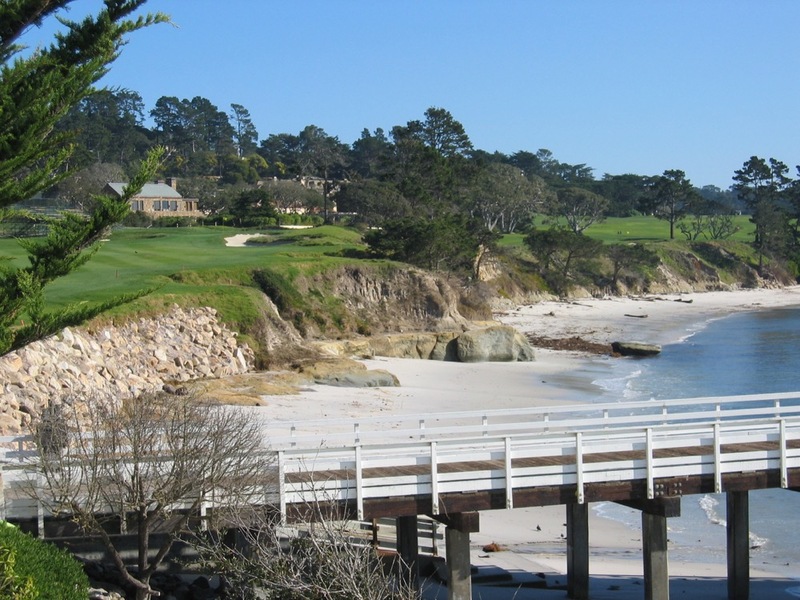 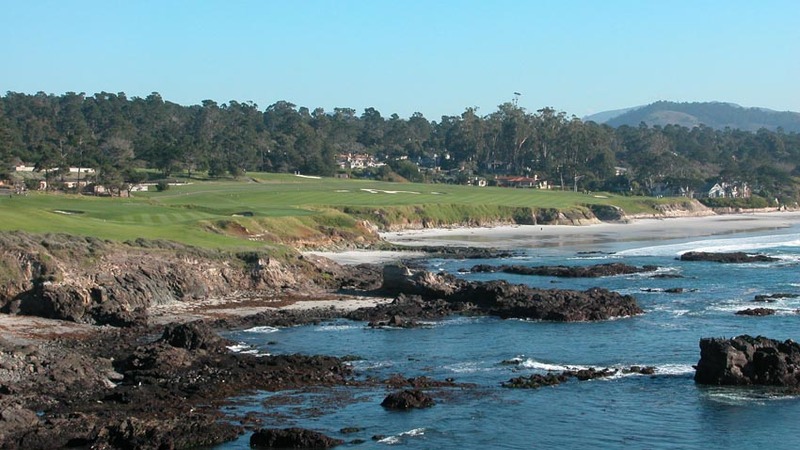 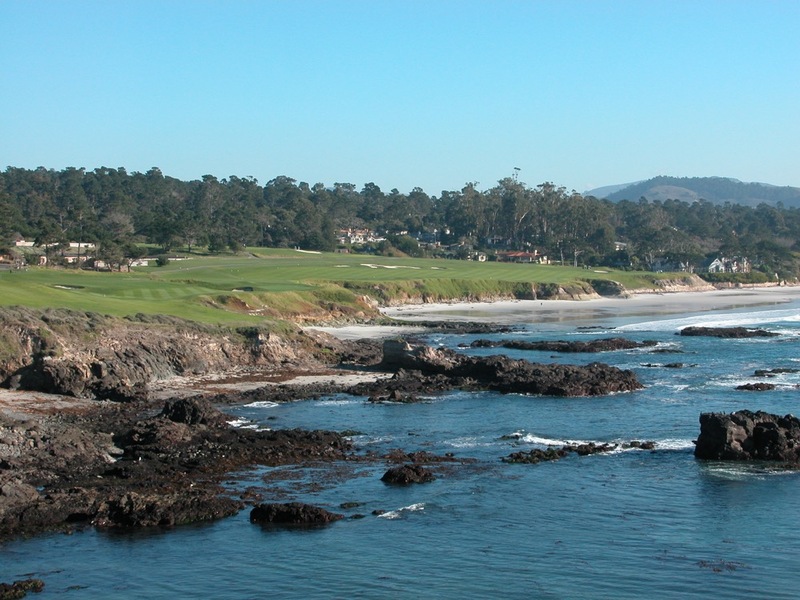 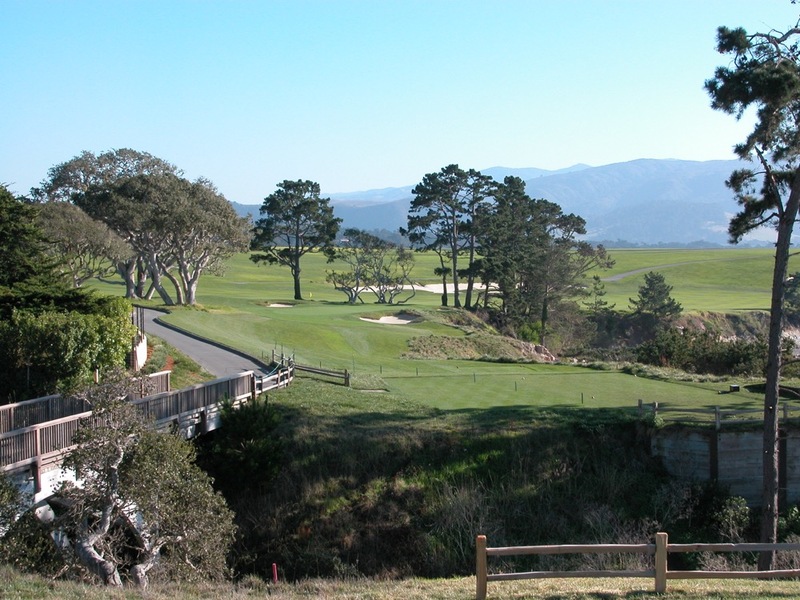 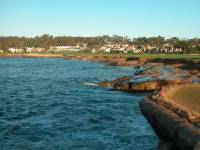 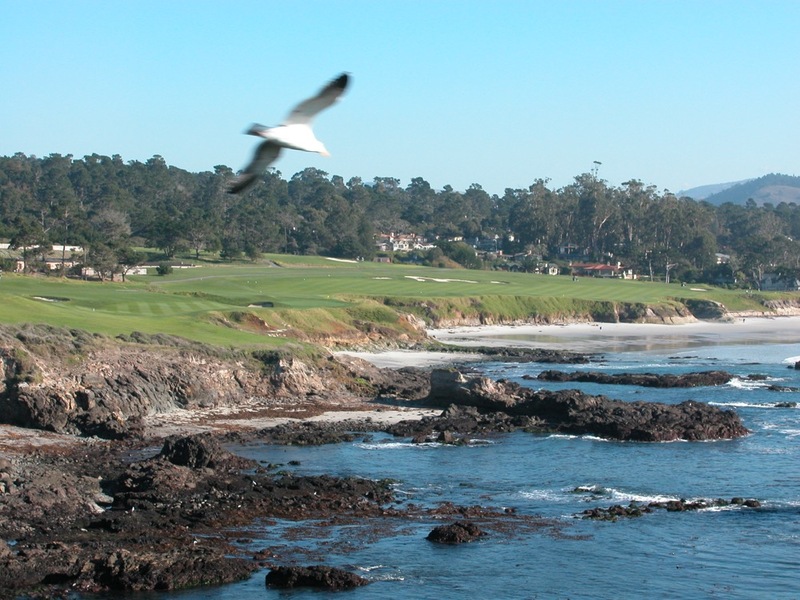 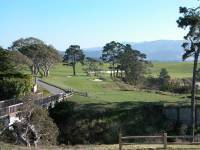 The 9th and 10th holes at Pebble Beach Golf Links head right along the cliffs towards the idyllic village of Carmel-by-the-Sea, well known again to anyone who loves golf and re-member if you happen to hit the ball down to the beach, play it! 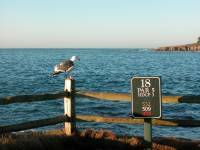 You are not out of bounds! 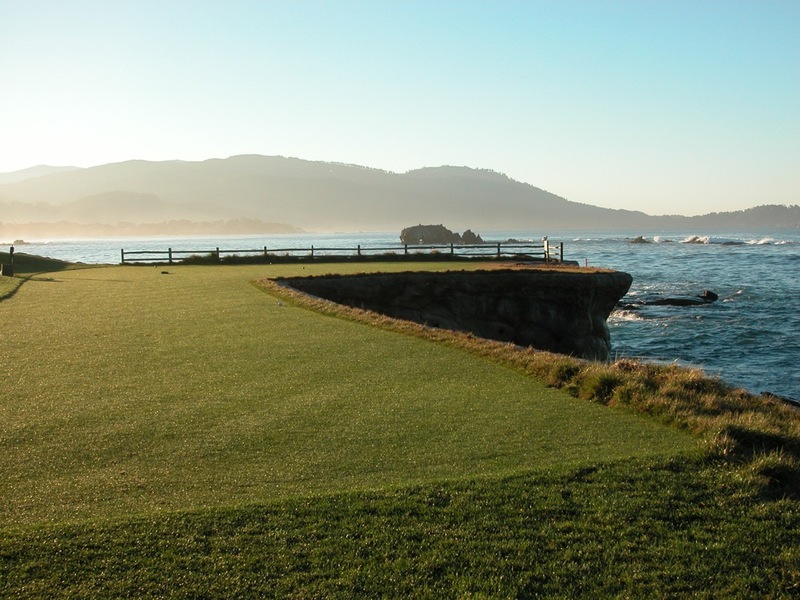 14 at Pebble is about the most inland part of the course but the third shot to this challenging par-5 is certainly a signature moment during the round at Pebble Beach Golf Links—you will have hit a US Open-worthy shot if you are able to keep the ball on the top shelf! 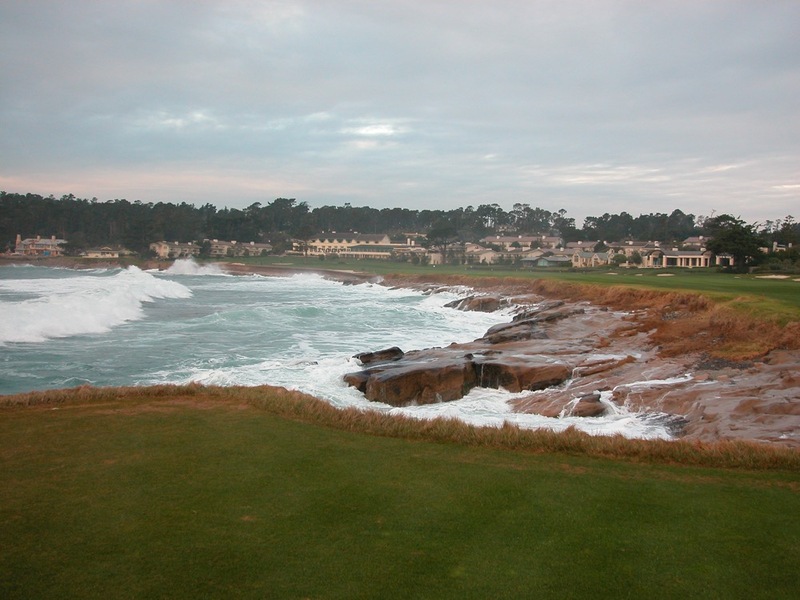 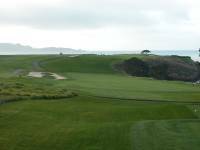 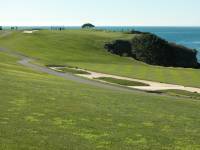 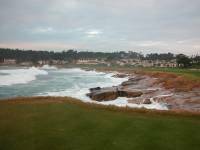 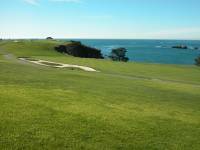 Then there’s the finish, with the 17th green hard by the Pacific and the venue for two of golf’s greatest and most memorable moments. 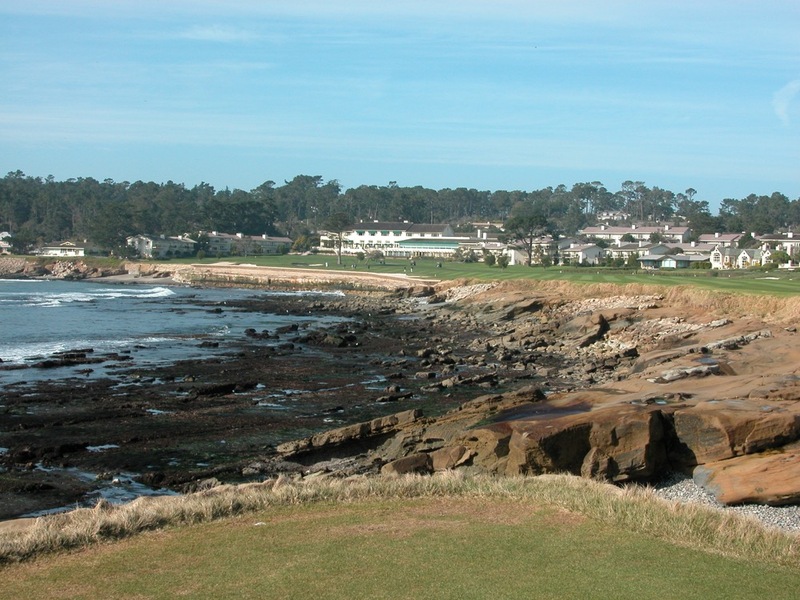 First, Jack Nicklaus’ 1-iron on Pebble Beach’s 17th into the wind on the 71st hole of the 1972 US Open, which clanked off the pin and stopped inches from the hole. Heroism turned heartbreak for the great Nicklaus in 1982 when Tom Watson chipped in for birdie at Pebble Beach’s 17th hole to deny the Golden Bear his 5th US Open. 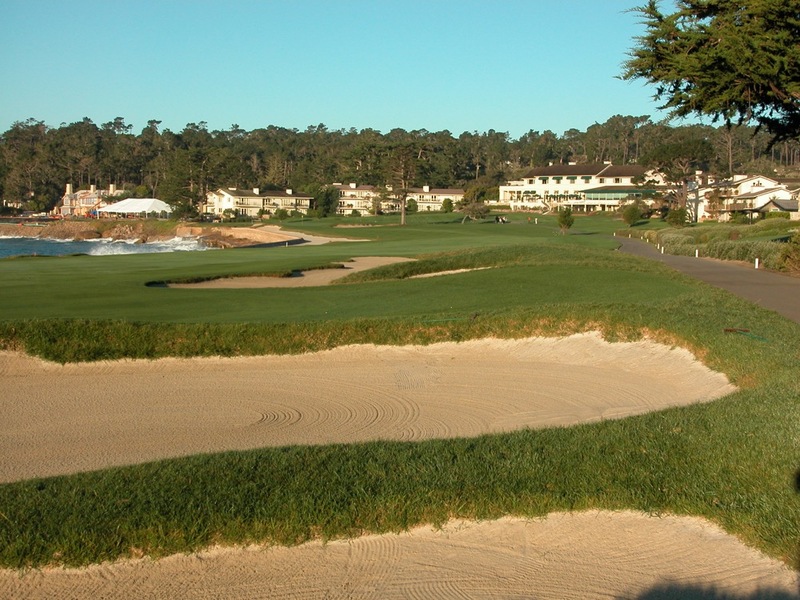 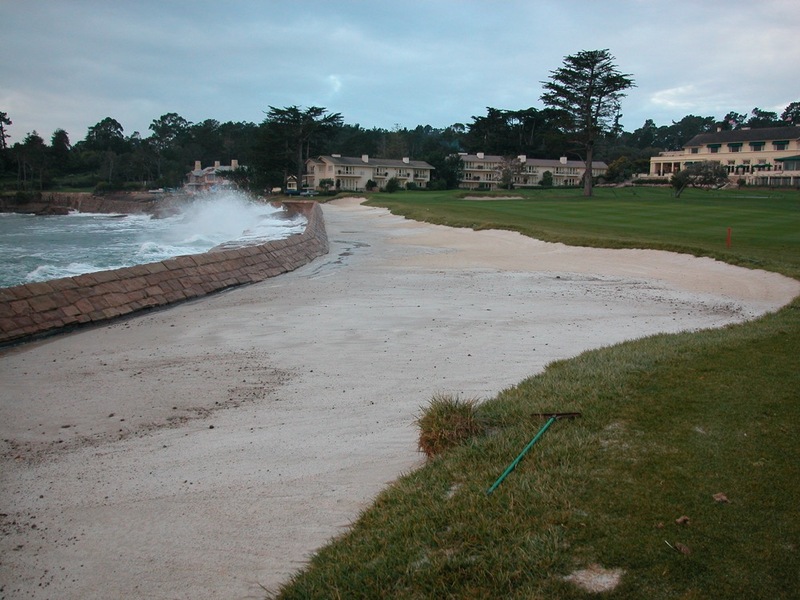 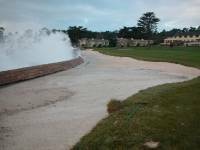 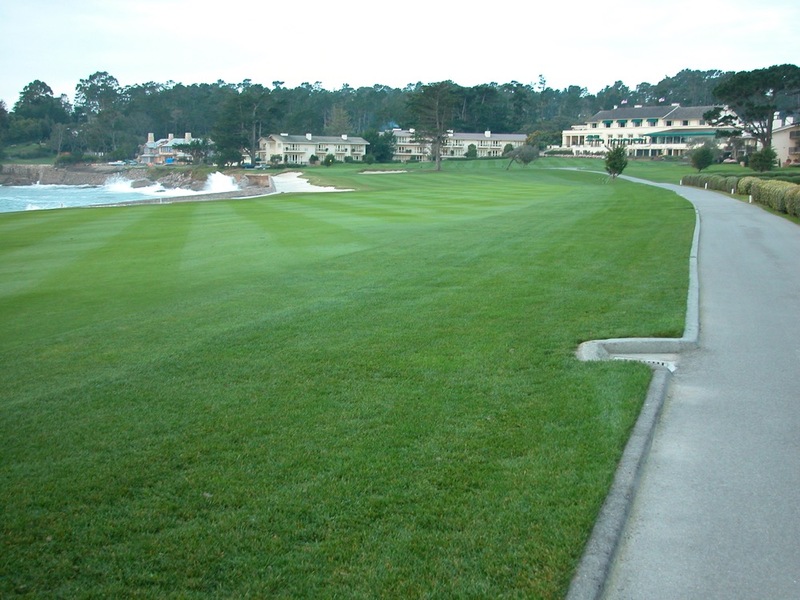 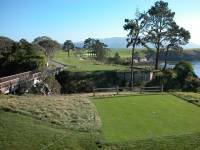 18 at Pebble Beach is golf’s original “postcard hole”, still to this day a true three-shot par 5 doglegging left around the edge of Carmel Bay, with the picturesque Lodge at Pebble Beach framing the hole. 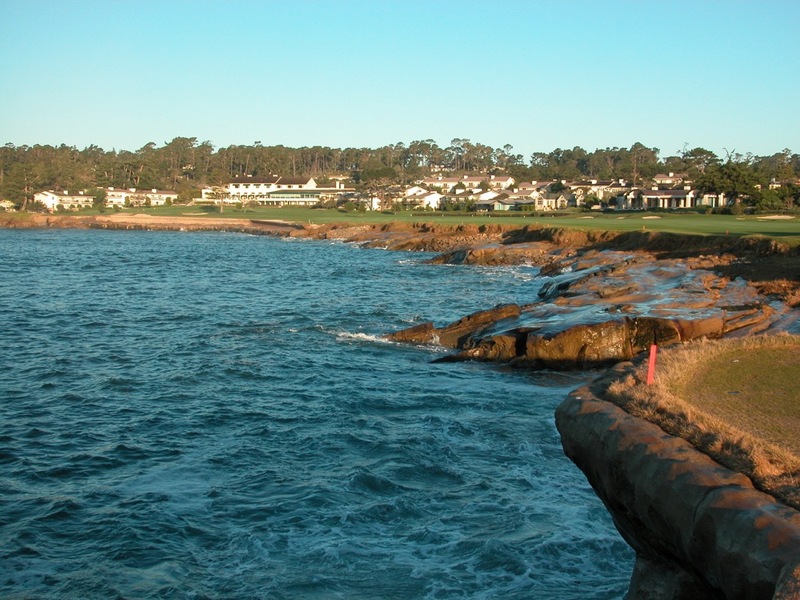 For the millennium Open in 2000, won in record fashion by Tiger Woods, Nicklaus added yet another signature hole to the mix at Pebble Beach, the new par 3 5th with the ocean to the right. 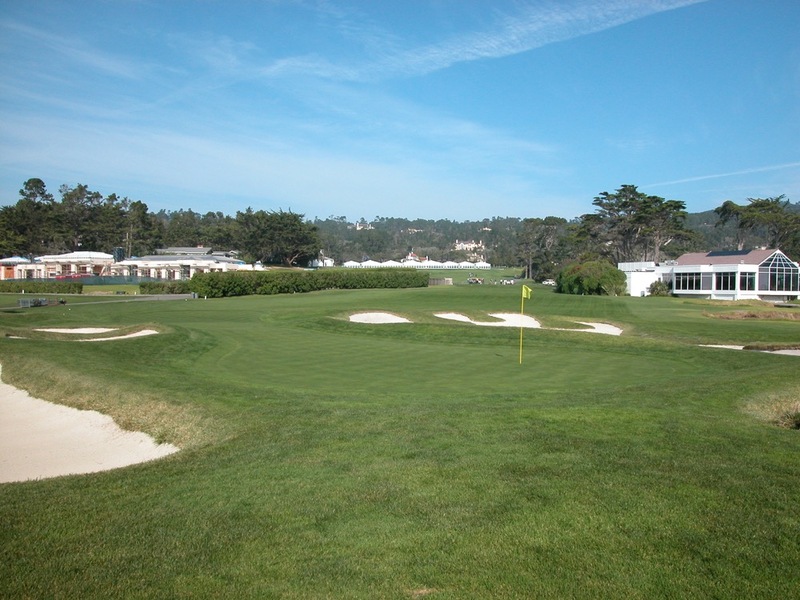 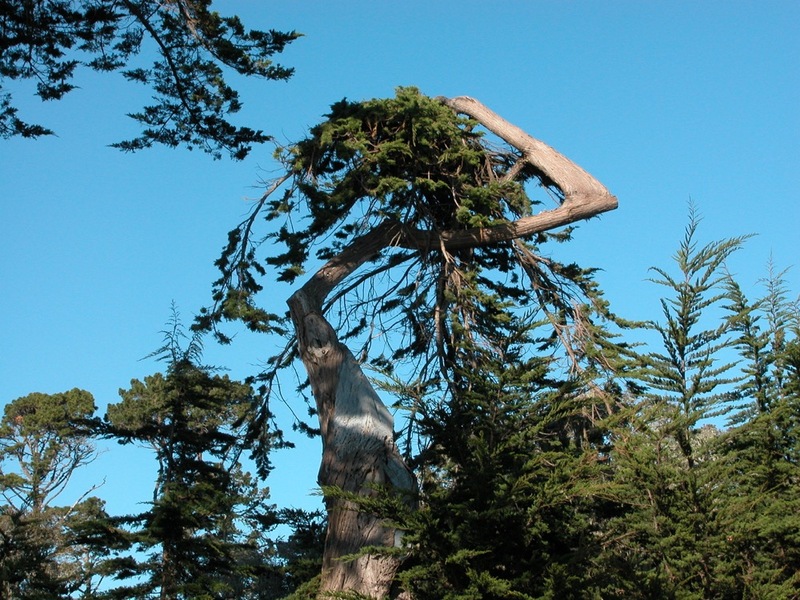 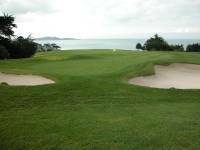 Legend has it that original designer Jack Neville coveted this spot for his 5th hole but this was the one parcel of land that Samuel Morse, original developer of Pebble Beach, couldn’t wrestle away. 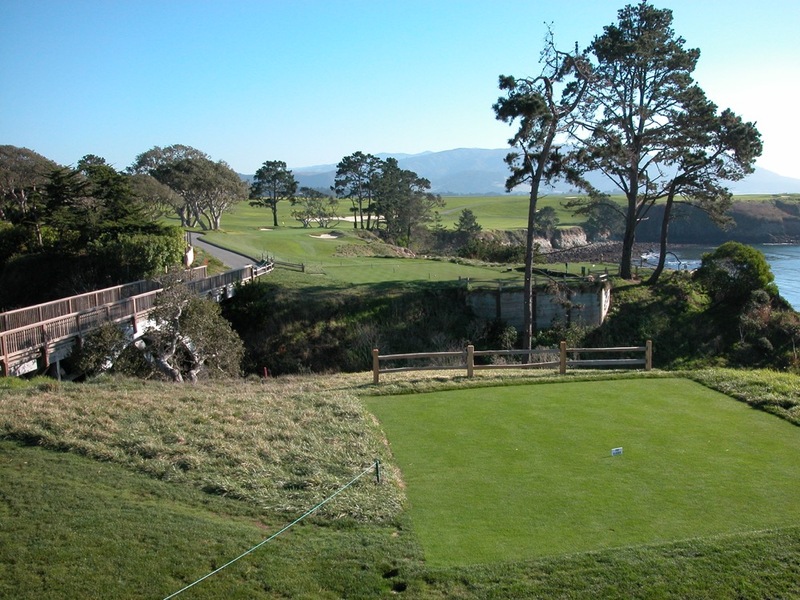 After nearly a century that opportunity finally presented itself and Jack Nicklaus didn’t disappoint with his design for the new “original” 5th at Pebble Beach Golf Links! 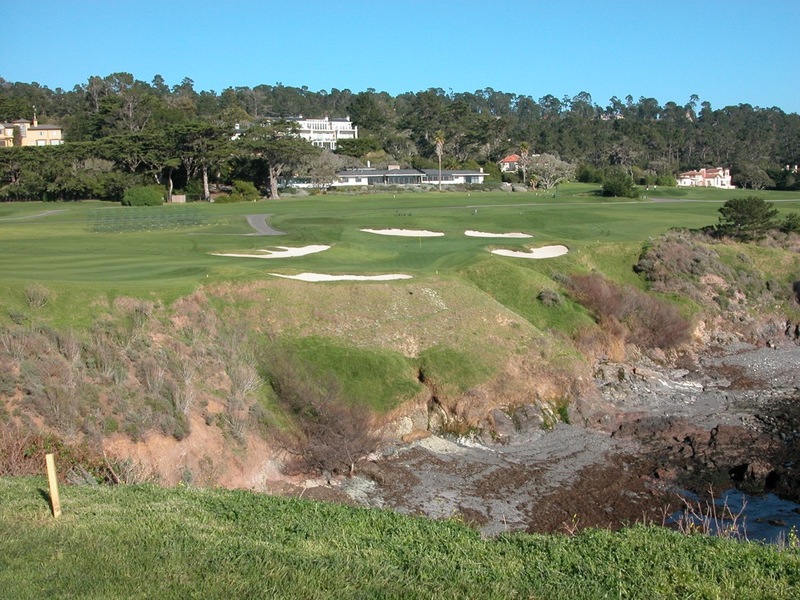 And a much overlooked hole at Pebble Beach is the 6th, a Hidden Links favorite as we have always loved the look of the 6th from the tee with the memorable fairway bunker to the left and the two-level fairway that requires a steeply uphill second shot. 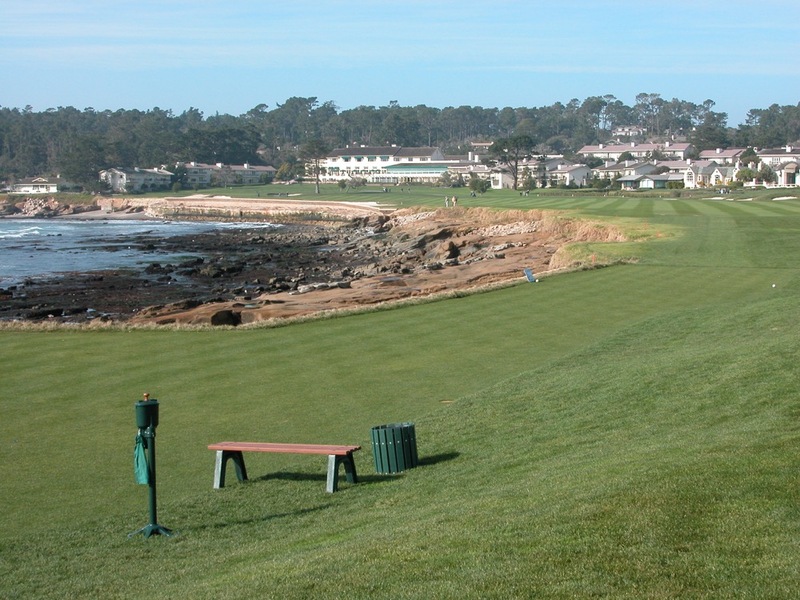 Pebble Beach Golf Links will likely turn out as your golfing resume’s “signature round.” No matter how great it gets both with classic golf trips overseas and new memorable resorts in North America, it can still easily be argued that the original is still the best—it’s time to head to Pebble Beach California and play golf at Pebble Beach Golf Links! 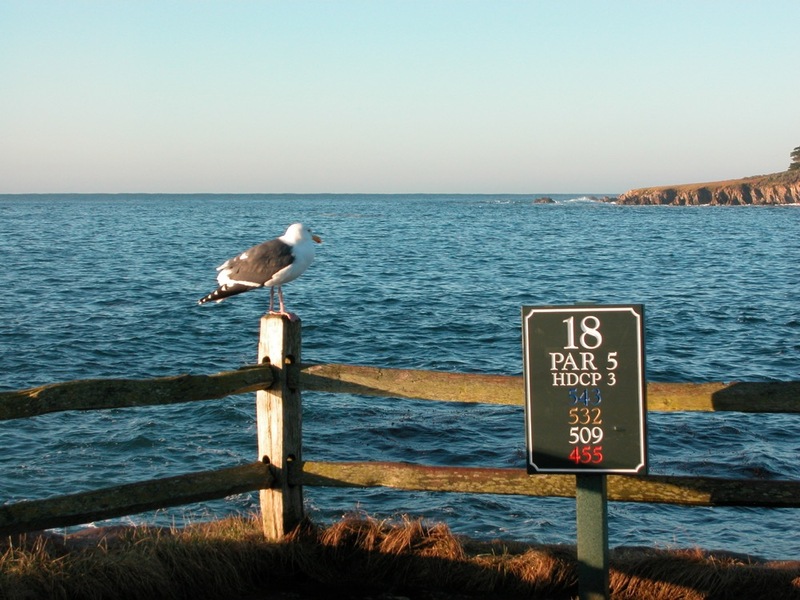 "From the moment I set foot on Scotland soil - Not One Problem confronted me."